Life in North Norfolk is fun and easy especially if you are a renowned leisure person. Living in Salcombe means sailing a lot while in the lake district, it is hill walking and in Cornwall, you will surf all you can. If you enjoy being outdoors throughout the year, then getting an apartment in North Norfolk won’t be a bad idea. 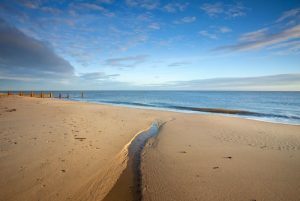 North Norfolk is not only for holidays, because, apart from the fabulous beaches, there is a way to live as a local. Anyone investing in a house should think about buying in Thornham, or Blakeney. They are among the regions that have become second-home hotspots. First you must be prepared, because even beach huts are not very cheap in this part of the world, though there are less expensive homes that can be found in Wells-next-the-Sea. The old granary was converted to apartments about 15 years ago and there has been a continued interest shown by people who want to live there. From the coast it is an hour’s drive to the Norfolk and Norwich hospital if you need to consult a doctor or make an appointment. Lots of things have been changing in the town too, and there are many friendly people. Over the years, the overall crime rate in Norfolk has dropped a lot, and is now among the lowest in the country. Shopping in North Norfolk will give you so much delight and you will be surprised the number of local shops you will find. Most of these are independently owned and you will be able to browse for locally produced food in delis and markets. If you are a collector, then you will find the gentle galleries and gift shops interesting. That is where you will find beautiful heirloom pieces, artworks or even antiques from all around Norfolk.